WESTFORD, MA. 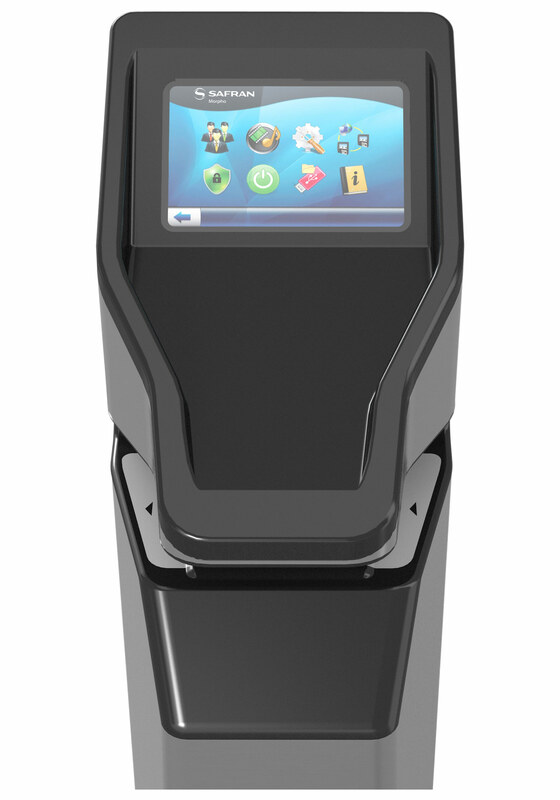 –June 24, 2016 –– Tyco Security Products introduces the Safran MorphoAccess SIGMA Series access control high speed biometric and card reader featuring the world’s number one performance-ranked fingerprint technology and the world’s only single hand movement capture and match reader, the MorphoWave Tower. Using this technology, C•CURE 9000 Security and Event Management platforms are now able to deliver contactless access control. The new MorphoAccess (MA) SIGMA Series readers employ state of the art fingerprint technology that is ranked the most accurate in the world by the United States National Institute of Standards and Technology (NIST). The optical biometric sensor used in the readers also meets the Federal Bureau of Investigation’s standards for Personal Identity Verification and Image Quality Specifications. The MA SIGMA Lite Series readers, designed for narrow mounting surfaces such as turnstiles or server rack doors, deliver a durable design making them ideal for a wide array of indoor and outdoor deployments. MA SIGMA Series readers feature an easy to use color touchscreen and buzzer for advanced interactivity, and can be used with any electronic device that has Web access, including laptops, PCs, tablets and smart phones. The readers support Prox, iCLASS, MIFARE, MIFARE Plus, DESFire and NFC cards. An embedded server enables on-device enrollment, transaction log retrieval and terminal configuration, as well as user ID, BioPIN and PIN management. MorphoWave Tower readers are ideal for busy, high traffic and high security applications. The readers use patented, contactless four-finger ‘on the fly’ capture technology that is the only of its kind in the world, providing high accuracy even when presented with wet/dry fingers and latent fingerprints, a problem posed by some conventional touch readers. The contactless capability of the MorphoWave allows an end user to keep moving without breaking his/her stride when passing through a control point, so that the flow in high-traffic areas is continual. MorphoWave Tower readers can be deployed as standalone integrations or in line with turnstiles, offering extensive customization capabilities and time and attendance features, including programmable function keys, real-time employee notifications and job code management. For more information about the MorphoAccess SIGMA Series reader and MorphoWave Tower, visit www.swhouse.com. Tyco Security Products and its leading brands conduct business in over 177 countries around the world, in multiple languages and employ over 2,800 employees globally, including research and development, marketing, manufacturing, sales, service and logistics teams in the Americas, Europe, the Middle East, Africa, and Asia Pacific. Our products, built by developers from all product disciplines, consistently allow customers to see more, do more and save more across multiple industries and segments including healthcare, government, transportation, finance, retail, commercial and residential. Worldwide, Tyco Security Products helps protect 42% of Fortune 500 companies, transportation systems on five continents, 37% of the world’s top 100 retailers, over two million commercial enterprises, thousands of students in more than 900 educational facilities and over five million private residences.